This is done by annealing the surface (changing the colour of the steel on the surface). Results are a clear black mark. 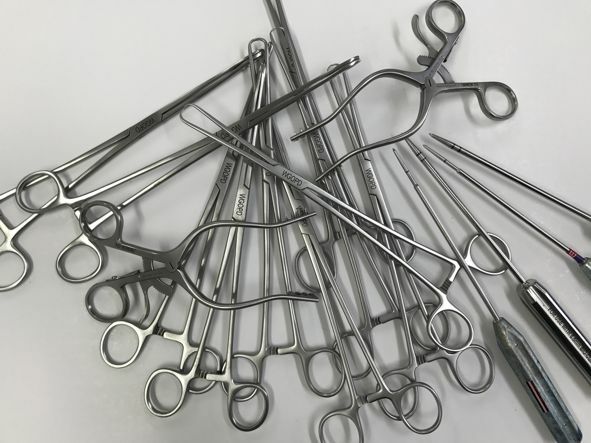 Please note: we use the lastest in Laser Technology, surgical instruments should not be done in a CO2 Laser, due to the chemical toxication of additives in the laser marking process.